Trump’s tariff plan drew swift condemnation from the Republican establishment, while Democrats expressed cautious optimism. House Speaker Paul Ryan’s office said that Trump ought to reconsider the tariff, and Senate Finance Committee Chairman Orrin Hatch, the second-most senior Republican in the Senate, compared the plan to a tax hike on the American people. Senator Ben Sasse had the most pointed criticism of the plan, calling it “kooky 18th century protectionism.” On the other hand, while top congressional Democrats remained mostly mum, the rank-and-file welcomed the protectionist action, with Senators Sherrod Brown and Ron Wyden embracing the move as a step in the right direction. Projections for the Italian general election point to a hung parliament. Italians went to the polls on Sunday to pick a new parliament, and while the anti-establishment Five Star Movement appears to have performed better than expected, projected to pull in 32.5% of the vote, they are still short of the majority needed to form a new government. The center-right bloc consisting of the anti-immigrant, anti-EU League of Matteo Salvini and the more moderate Forza Italia is projected to lead the pack with 35.5% of the vote, while the ruling center-left coalition is projected to pull in only 23% of the vote. However, because not all seats are proportionally allotted, it’s possible that the Five Star Movement ends up with a plurality of seats in both houses of the Italian parliament. With no clear winner, forming a government will likely take weeks, and futures for Italy’s FTSE MIB were down over 2%. German Chancellor Angela Merkel is headed to a fourth term after securing a ruling coalition with the Social Democrats. After a lengthy period of political uncertainty in the country, the Social Democrats agreed to continue their coalition with Merkel’s conservative Christian Democrats. The term will likely be Merkel’s last as Chancellor, and brings some political stability to Europe in the wake of Italy’s general election toss-up. Fed chair Jerome Powell told the Senate Banking Committee on Thursday that Congress should look to change laws surrounding student loan debt. Powell questioned why student loan debt, under federal law, cannot be discharged in the bankruptcy process, and that student debt could act as a restraint on economic growth. His comments come at a time when student loan debt in America has surpassed $1 trillion. However, he did note that as a monetary policy actor, he exercises little control over these laws. Major U.S. benchmarks had a relatively poor week due to trade war fears. 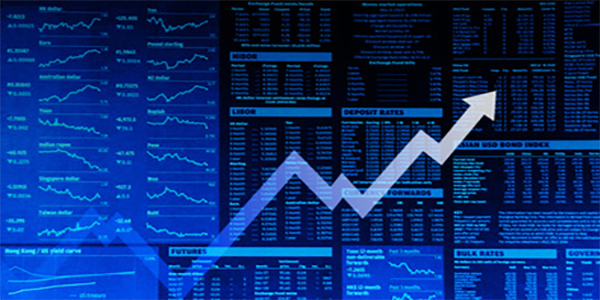 The Dow Jones Industrial Average (DJIA) finished down 3.1% for the week, the Nasdaq Composite (COMP) closed down 1.1%, and the S&P 500 (SPX) finished down 2.0%. European benchmarks fared even worse than US indices. The UK’s FTSE 100 Index (FTSE) finished down 2.4%, hitting a 14-month low, and the German DAX Index (DAX) closed down 4.6% on fears of a tax on German automakers. Asian markets had the worst week of the lot. Japan’s Nikkei 225 finished down 4.4%. India’s BSE Sensex finished down 0.6% and Hong Kong’s Hang Seng closed down 4.3%. Trump’s tariff plan continues his complete reshaping of the US political system. Not since the presidency of Herbert Hoover has a Republican administration been this staunchly in the protectionist camp. Nixon famously visited China and completely reshaped trade with the country, Reagan was responsible for the US-Canada Free Trade Agreement and helped create the World Trade Organization (WTO), and George W. Bush gave China permanent normal trade relations (PNTR) status. However, thanks in part to Commerce Secretary Wilbur Ross and Director of the White House National Trade Council Peter Navarro, Trump has turned orthodox Republican thought on free trade on its head. Even more surprising is the Democrats’ sudden turn away from free trade. Clinton signed the North American Free Trade Agreement (NAFTA) into law, and Obama pushed heavily for the Trans-Pacific Partnership (TPP). But, as evidenced by the stances of Senators Sherrod Brown and Ron Wyden, and Senator Bernie Sanders’ vocal criticism of NAFTA on the 2016 campaign trail, many rank-and-file Democrats have turned their backs on free trade. While there is no clear candidate for the Democrats in 2020, it’s likely that the eventual nominee will take a far more tepid position on free trade than his or her predecessors. Although many congressional Republicans, including senior leadership like House Speaker Paul Ryan and Senator Orrin Hatch, have come out against Trump’s steel and aluminum tariffs, it’s likely that the Republican party will remain gripped in the throes of protectionism, along with most of western Europe. A trade war looms large over the world economy, and its prospects are ugly. While criticism of Trump’s tariff plan has been most vehement in economic circles, it seems everyone, save for Trump, is frightened at the prospects of a trade war, particularly markets. The Dow fell over 400 points when the tariffs were announced, and nearly every company on the stock index has come out against the plan. Trade war aside, the tariffs alone may benefit the 80,000 steel workers in the US, but risk hurting the 6.5 million who work in downstream steel and aluminum consumption industries. But for anyone who may have hoped that the tariffs would be a one-off policy change, Trump’s tweets point to the tariffs as only the opening salvo of an all-out trade war with allies and foes alike, threatening to destabilize the world economy’s period of synchronized global growth. In response to fervent criticism of the plan, the administration trotted out Commerce Secretary Wilbur Ross, who said that any price increases as a result of the tariffs would be negligible (in his estimation, a $175 increase in the price of “typical” car). This is the same Wilbur Ross, who, along with Peter Navarro, authored a paper on free trade that economists labelled “a complete mess.” However, this is the same administration that claimed a tax cut of even less for working- and middle-class families would be life-changing. Irrespective of the politics of it, economists generally agree that a trade war is a lose-lose situation for all parties involved. Navarro even came out and said that there could be exemptions possible to the tariff, before quickly backtracking and throwing such a possibility out the window. While tariffs could improve the US’s manufacturing position, they threaten to derail the US’s huge trade surplus in services. No matter how you slice it, no one wins a trade war, and the best thing for markets to hope for is for Trump to back down, and the second-best thing is for the EU and China to back down. Investors who think the Fed won’t raise rates more than three times this year are now kidding themselves. As if the Fed didn’t have enough of a reason to raise rates more than three times this year, Trump’s tariffs threaten to drive inflation even higher than the administration’s cut-taxes-and-spend agenda was already going to. While cheap imports have helped keep conventional inflation (i.e., the CPI) low, higher prices spurred by a trade war will drive inflation higher. Fed chair Jerome Powell has already shown an inability to handle markets well – in his three key public days since taking the position, the markets tanked on all three – and flip-flopped from hawkish to dovish during his congressional testimony. Powell is already in a tenuous position, trying to balance the stimulative effects of Trump’s agenda with its potential for higher inflation, and tariffs help him out in no way. All signs point to higher inflation: a hotter-than-expected CPI reading in January, the tightening of the labor market, the federal government’s tax cuts and spending boosts, and now the potential for a trade war. Even worse for Powell is Trump’s penchant for publicly berating his own cabinet members, and the administration will put enormous pressure on him to keep interest rates low to promote economic growth. This, combined with congressional Republicans’ desire to deregulate Wall Street, could be the toxic mix necessary to repeat the mistakes leading up to the Great Recession. However, if Powell is resilient, the possibility of four or five interest rate hikes this year looms large.